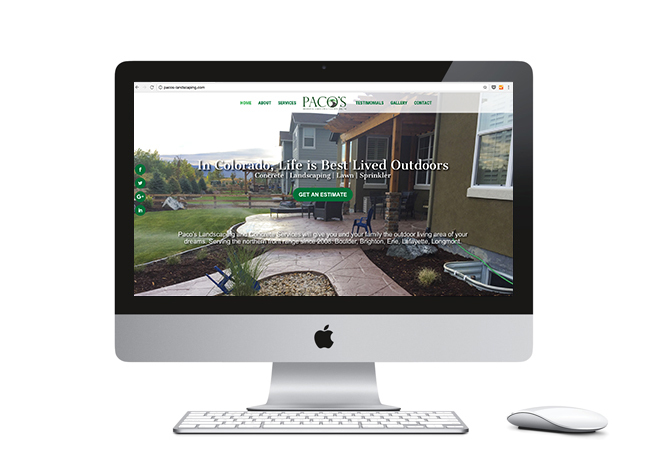 Paco’s Landscaping and Concrete was founded by Francisco Javier Saenz in 2008. It was my love for this work, and the sense of satisfaction that I get from working outdoors, that inspired me to launch my own company after working for others. Honestly, approachability and commitment to quality are the core values that we bring into each day. I hire employees who share these traits and I am proud to say that Paco’s employees are not only passionate about their projects, but also treated like partners in the business. This mode of operation results in high-quality work that gains repeat customers and referrals. I know that when individual employees are given a sense of ownership, everyone wins—especially our clients. If you are looking for high-quality concrete and landscape services from an honest and friendly company with competitive pricing, I invite you to connect with us today.